Advanced materials company Talga Resources has partnered with German-based technology company JenaBatteries to jointly explore use of Talga’s graphene products in flow batteries. Under the agreement, Talga will formulate and supply graphene for testing in components producing JenaBatteries’ patented polymer flow battery, a type of redox flow battery suitable for commercial scale and grid applications. A flow battery, or redox flow battery, is a type of rechargeable battery where rechargeability is provided by two chemical components dissolved in liquids and separated by a membrane. Energy is stored in the liquid electrolyte in external tanks (rather in the battery cell). Talga’s graphite will aim to reduce manufacturing costs and increase the performance and longevity of the flow battery by utilising graphene’s renowned properties of conductivity, chemical inertness and impermeability. 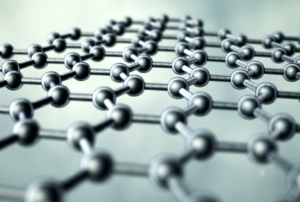 Talga said the collaboration will provide a platform for its graphene to be introduced to the large scale stationary energy storage sector, using variants of its graphene already developed for mobile energy applications. Managing Director Mark Thompson said each company will contribute its own intellectual property and products to the collaboration and can share jointly in any new technologies resulting from the collaboration. “We are delighted to formally advance another industry partnership and collaboration opportunity. This agreement supports our recently announced graphene products strategy and highlights the growing applications for our graphene in the energy storage sector,” Mr Thompson added. JenaBatteries Managing Director Olaf Conrad said he was hopeful the collaboration will yield exciting results for both parties. “Fuel cells share many parallels with flow batteries and thus we are very interested to see how publicised graphene results in fuel cells can translate into an industrial scale setting with our redox flow batteries,” Mr Conrad said.